Eichhoff Elektro is one of the world’s leading manufacturers in Electromagnetic Interference. Renowned for it’s high quality and innovative solutions, Eichhoff Elektro manufactures an extensive range of safety transformers and electronic ignition systems for gas. Eichhoff Elektro Kft joined the Enerdoor Group in 2011 which consists of Enerdoor in North America and Europe, Finmotor and Finlab in Italy and Eichhoff Elektro in Hungary. These parts guarantee a fail-safe power supply and continuous function of electrical devices. Most products are UL and VDE approved. 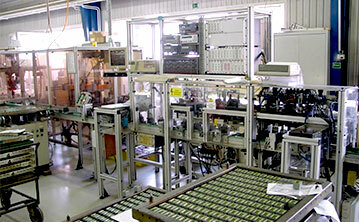 Quality and reliability is assured by automatic production. The following parts are mainly used in gas heating and cooking for ignition and flame monitoring. Supreme quality and reliability is guaranteed by process monitoring of individual production steps and computer aided final control. 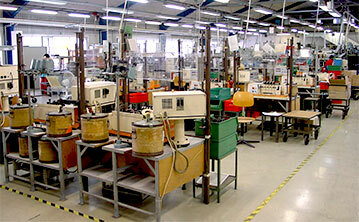 The Eichhoff systems comply with the national and international standards for gas fired devices.